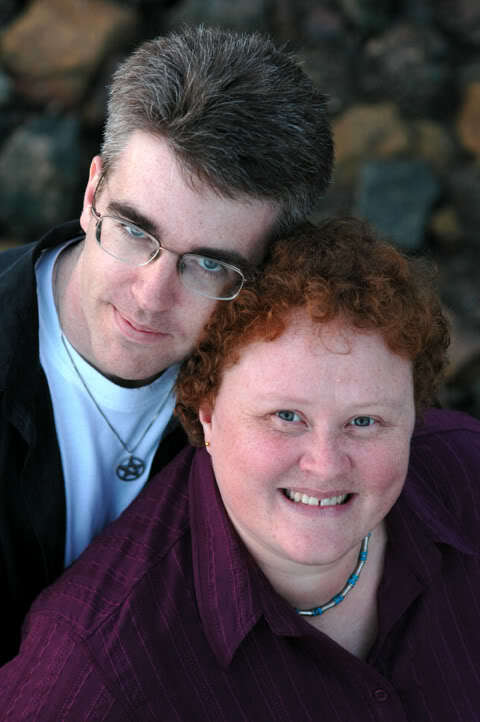 Kate Orman is best known to fans as the author or co-author of thirteen Doctor Who novels. Her most recent publication was the story “Head Case” in Cosmos (November 2011). She lives in Sydney with her husband and collaborator Jon Blum. In the last Snapshot, you mentioned that you were working on a science fiction novel, Strange Flesh. Are you still working on it, or are there other projects that you are focussed on at the moment? Oh yeah! I’ve been working on that sucker, in one form or another, since 1999! The only question is which of us will finish off the other first. Since the last Snapshot I’ve got some short stories into print (most recently “Head Case” in the Oct/Nov 2011 issue of Cosmos), and there are plenty more of those in the pipeline, but right now I’m trying to knuckle down and get to a first draft of Strange Flesh. The Doctor Who spin off novels, The New Adventures in particular, allowed writers to explore themes that might not have been possible in the original TV series. Are there any themes you are particularly proud of bringing attention to? Are there moments in the new series that you feel were made possible by ideas the books pioneered? I loved being able to play in Ben Aaronovitch’s African future. In Transit, Ben introduced the genuinely futuristic idea that Africa will become the “first world” – culminating in the 30th Century aristocracy of which Roz Forrester is a part. I borrowed this future for Sleepy, and it was also an influence on Seeing I and The Year of Intelligent Tigers. While the spirit of the NAs is alive and well in the new show – not surprising, given how many of the book authors went on to write for it – you have to remember that only thousands of people read the novels, compared to the millions who watch the current show. So while the NAs might have prepared fandom for some elements of the new series, I think changes in TV itself have had a much bigger effect on the new show – things like CGI, much larger budgets, the explosion of pay TV and the Internet, and the greater sophistication of audiences. If you were given free rein in the Doctor Who universe, are there any concepts you¹d like to explore further, any Doctors or Companions whose stories you would like to tell? I’d like to see stories set further afield – another visit to China or the Aztecs, perhaps, or ancient Egypt or Babylon. Or, if those settings are prohibitively expensive, then perhaps an appearance of people or things from those times in a modern day setting. Or on a completely different tack, I’ve really enjoyed the “hard” SF we’ve had now and again in the new show, such as “Impossible Planet” – I’d love to see more of that sort of thing. Also a planet with twelve genders. Here’s two: Kaz Cooke’s 1992 novel The Crocodile Club, a thoroughly Australia comedy adventure which I picked up for 25 cents from the reject basket of my favourite second-hand book shop; and Tess Williams’ 1996 SF novel “Map of Power” with its convincing future Australia (and Antarctica). Find ’em and read ’em. Oh gods, don’t ask me, I’m shamefully out of touch (as my novel choices above demonstrate!). This entry was posted in Writing and tagged 2012snapshot, interviews, Kate Orman on June 5, 2012 by David.